The maker of the MintBox is upgrading its flagship product with a variety of Haswell processors. Unfortunately the fanless world drastically changed with the NUC invasion, and competition will be tough. 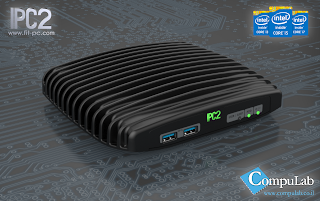 "IPC2 can be pre-ordered now from CompuLab starting at $388. Availability through Amazon and CompuLab resellers is expected in February 2014."